Are you suffering from rosacea? Here are some at home and professional skin treatments that can help give you clearer, smoother skin. Rosacea is a common, long-term skin condition that mainly affects the face. Often, these changes in physical appearance can have a significant psychological impact. However, there are a multitude of at-home and professional skin treatments that can be used to safely and successfully manage rosacea. 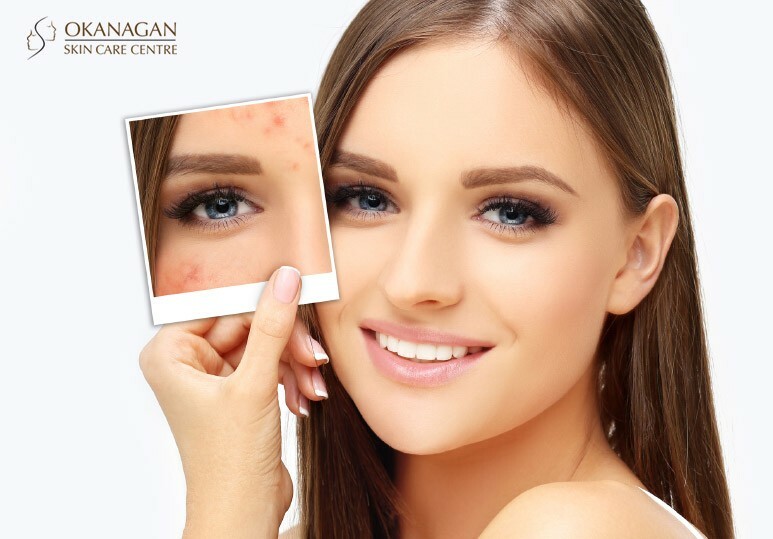 At our Kelowna skin clinic, we offer the latest rosacea skin treatments, including V-Beam Laser, to give you the clear and beautiful skin you have always wanted. There is currently no cure for rosacea, but treatment can help control the symptoms and keep your skin free of any redness and pimples. Making an effort to avoid these triggers in your daily life can make a big difference in the condition of your skin and prevent any rosacea flare ups. The sun is thought to be one of the most strongly aggravating factors of rosacea. The most successful rosacea skin treatment regime includes the use of sunscreen, which offers significant benefits against flare-ups, keeping your skin well protected against UV rays. Many supplements and essential oils can help fight the inflammation that is the root cause of rosacea. These natural substances can help speed up blood circulation and promote wound healing while reducing the presence of bacteria that can aggravate the skin. If you suffer from rosacea, you should talk to your doctor about medications as a skin treatment option. There are creams, gels and even oral medications such as antibiotics that can help clear up more severe cases of rosacea and reduce spots and redness. Today, there are many therapies available for treating and managing the symptoms of rosacea. At our Kelowna skin clinic, we used the advanced V-Beam Laser to help clear your skin and give you a beautiful, rejuvenated appearance. What is V-Beam Laser Skin Treatment? How does V-Beam Laser work? The innovative V-Beam Laser works by delivering a short burst of light into the treatment area. This causes any damaged blood vessels to coagulate and be reabsorbed by the body during the healing process, leading to clearer skin. When performed by a qualified skin specialist, V-Beam laser is a safe and relatively pain-free rosacea skin treatment, suitable for all skin types and ages. The advanced technology uses a cooling spray before each laser pulse, protecting your skin and minimizing any discomfort during the treatment. This is highly dependent on each individual. Typically, the results from this rosacea skin treatment can last between 6-24 months. Annual follow up treatments may be required to maintain optimum results. How many V-Beam Laser treatments will I need? 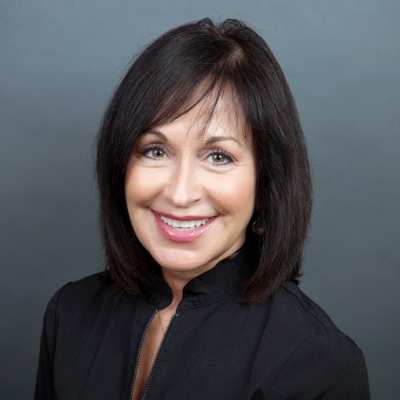 While you will notice significant results after a single treatment, most patients require 3-5 sessions (4 weeks apart) to enjoy the full benefits of this skin treatment. At our Kelowna skin care clinic, we offer customized V-Beam laser skin treatments using the advanced VISIA Digital Analysis System. This allows us to determine your unique skin profile and tailor your rosacea skin treatment plan to suit your specific requirements. VISIA also allows our skin experts to monitor your treatment progress and make any necessary changes to ensure you receive the most effective results. 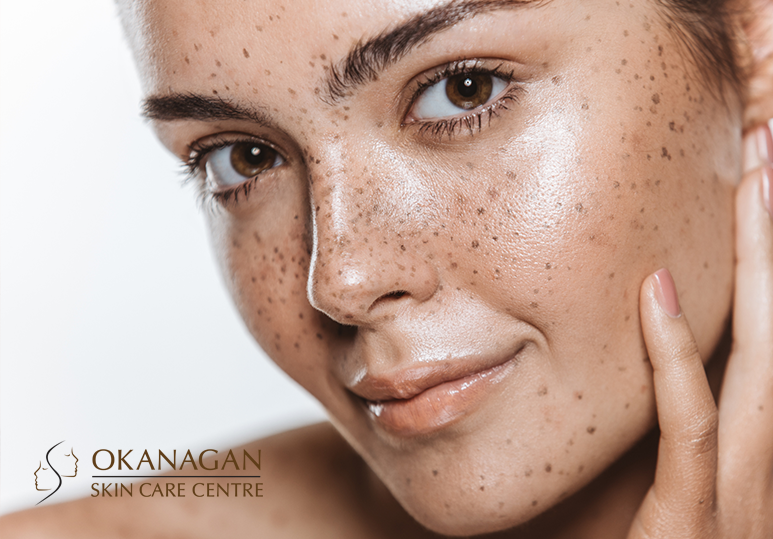 To find out more about our customized V-Beam laser treatments or book a personalized consultation, contact our Kelowna skin clinic today at 250-868-9290.